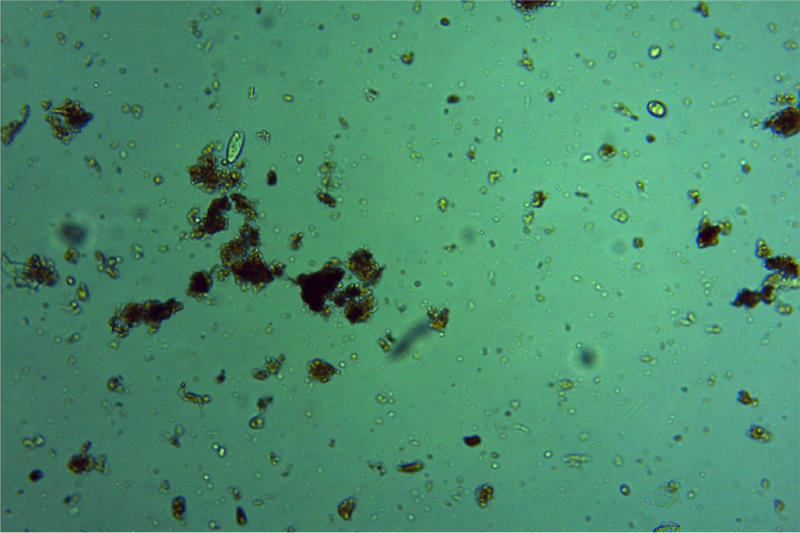 This image shows an assortment of life in a compost sample. The bacteria are the smallest circular and rod shaped organisms. This bacterial density is what an average compost sample will look like. 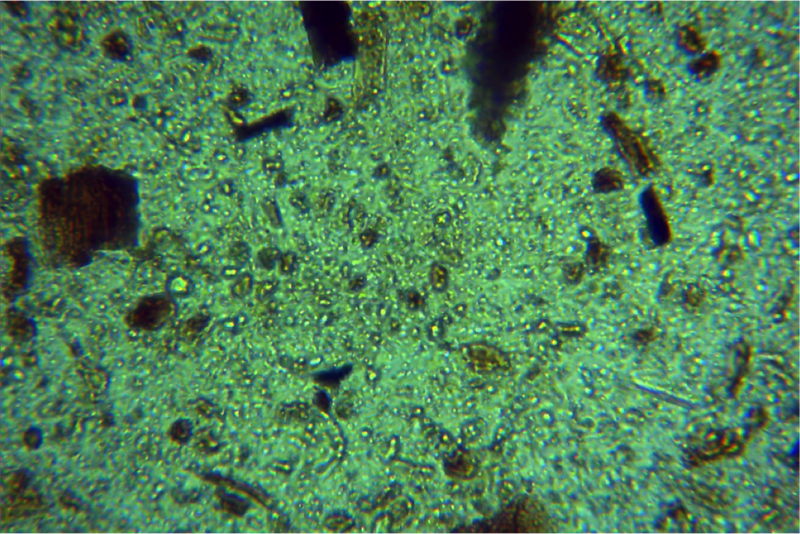 This image shows a very densely populated sample teeming with bacteria. The bacteria are the smallest circular and rod-shaped organisms. The abundance of bacteria is likely due to active decomposition of organic matter or a dense food source.